littleBits Projects: Remote Pet Feeder « Adafruit Industries – Makers, hackers, artists, designers and engineers! 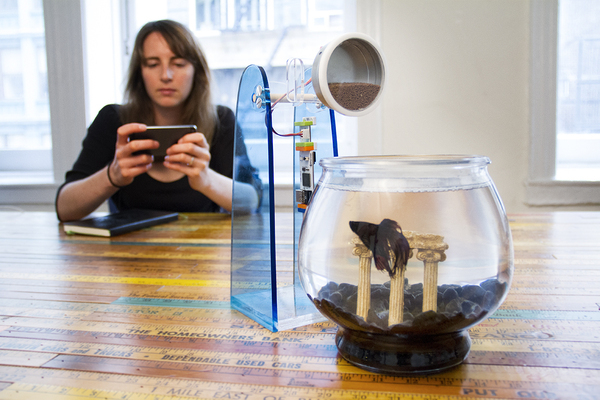 When away, make sure your pet (fish, cat, dog) never goes hungry with this WiFi-activated feeder. 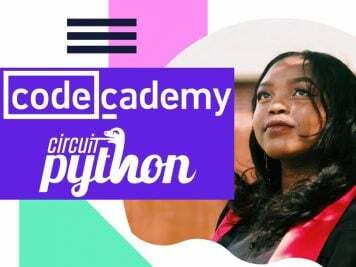 You can either feed your pet remotely by pressing the button in Cloud Control, an app which allows you to connect to your littleBits circuit remotely, or you can set up an automated feeding schedule through IFTTT (If This Then That). IFTTT is a service that lets you connect to different web apps through simple conditional statements. 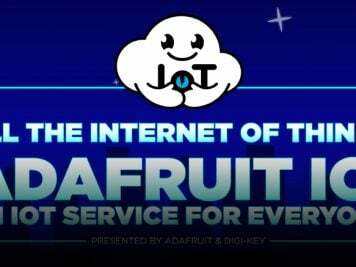 Any time the feeder receives a signal through the cloudBit, the servo is activated. In our case, we attached a fish food container with a small hole drilled in its side to the servo. When the servo turns, a few pellets drop out of the container and into the bowl. 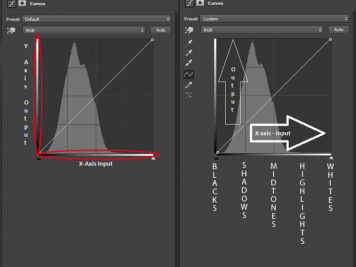 You can activate the servo remotely in a couple different ways. 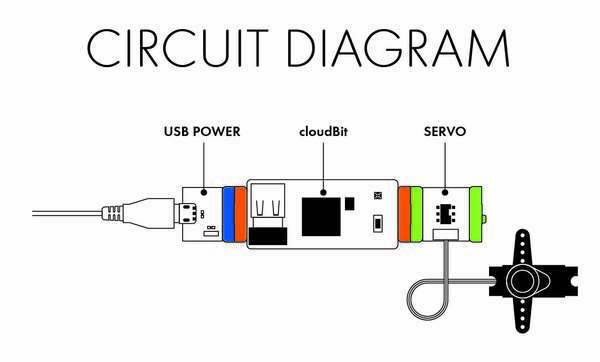 You can either use the littleBits button in Cloud Control to send a single pulse to the cloudBit, activating the servo. 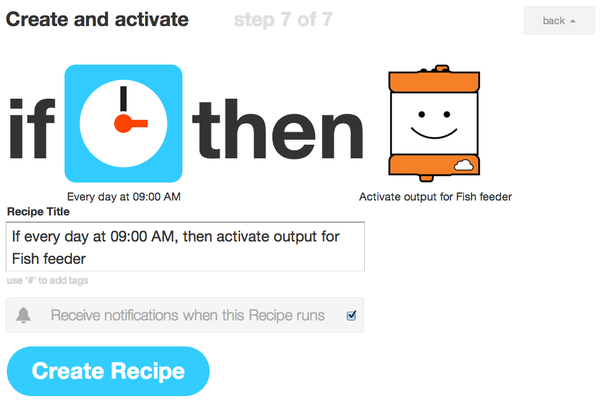 Or, you could use an IFTTT channel, like Date & Time to automate the feeding at times you set.